Celebrate Fall’s arrival with these 12 classic Japanese recipes, featuring seasonal ingredients, freshest seafood, and fall delicacy. In Japan, we say “Fall is the season for big appetites”. Isn’t that so true? As the days get cooler, we find ourselves spending more time in the kitchen, slowly cooking our favorite comfort foods. I love cooking up hearty Japanese dishes in the fall with ingredients like rice, sweet potatoes, pumpkins, daikon, and chestnuts. This season brings an amazing array of foods to enjoy in Japan. Seafood such as salmon, mackerel, and oysters are at their freshest. 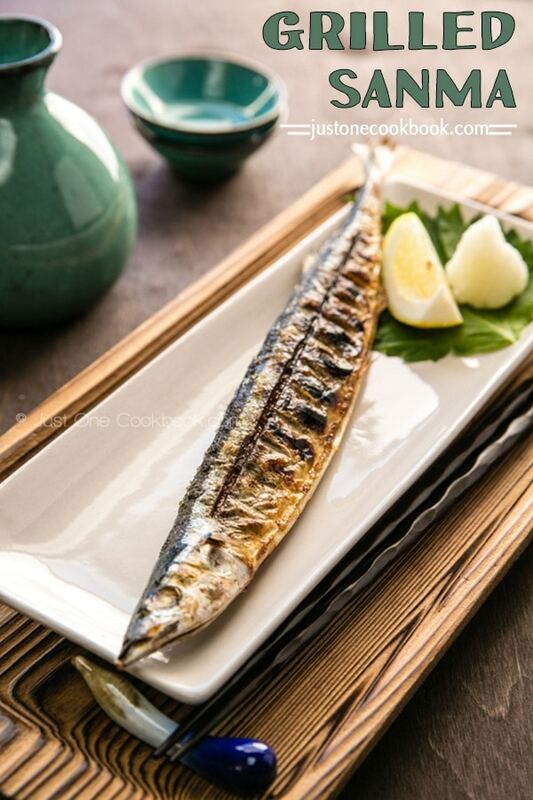 You will also see seasonal ingredients like matsutake mushrooms and Pacific saury (sanma in Japanese). With the abundant produce in the market, this is my favorite time of year for cooking! Who else is excited about fall cooking? 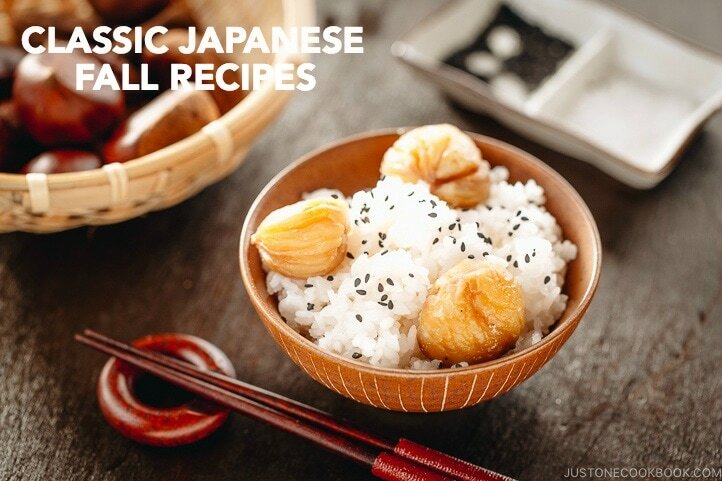 Here are 12 classic Japanese recipes you will want to try this fall. Gently fried until crispy and glazed in a sweet sugary syrup, these Japanese-style Candied Sweet Potatoes (or Daigaku Imo 大学芋) is the classic fall snack in Japan. They are filling, comforting and high in nutrients. Good news is Japanese sweet potatoes are now grown in the US and many parts of the world. If you’re in the US, you should be able to find them at grocery stores such as Whole Foods, Trader Joes or your local co-ops. Grab a bag when you see them and enjoy this wonderful fall treat! Fall means kabocha squash season. 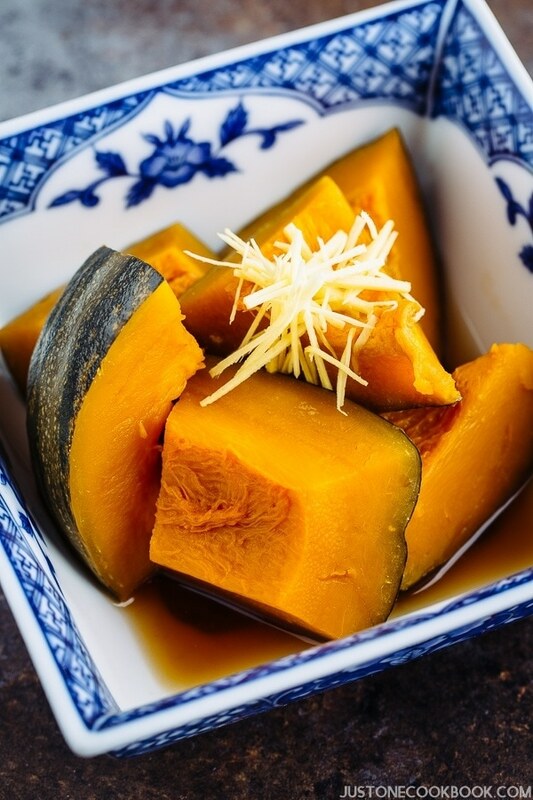 One of the most classic Japanese dishes you can make is this Simmered Kabocha Squash. Also known as Kabocha no Nimono (かぼちゃの煮物), it’s a simple dish where the squash is simmered in a savory dashi broth seasoned with soy sauce and sake. 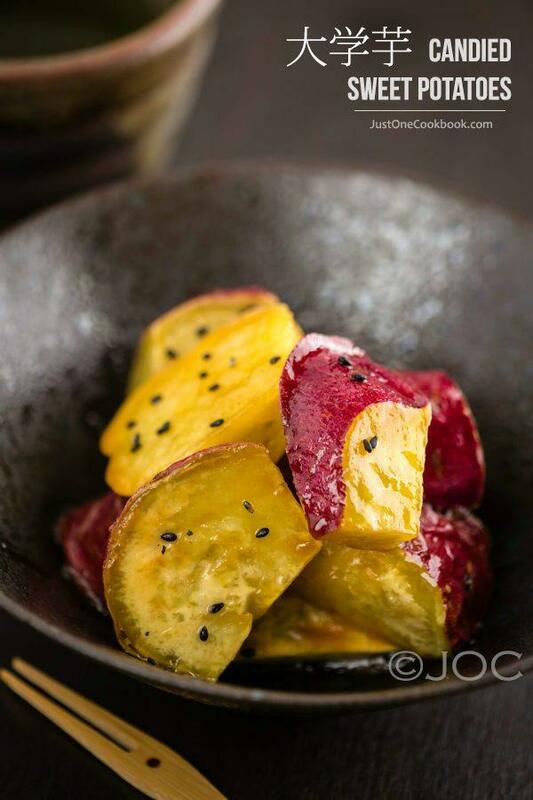 Enjoy it as a healthy side dish in your bento lunch box or as part of your Ichiju Sansai dinner. 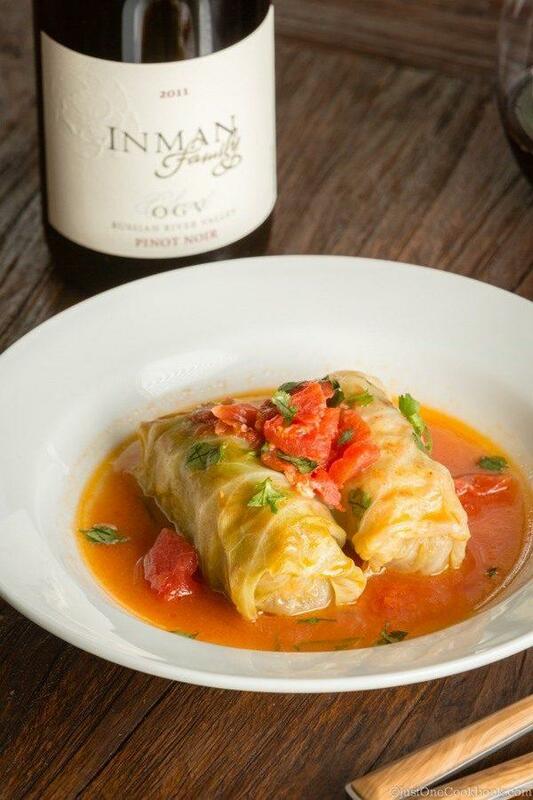 Served in a delicate tomato-based sauce, this Stuffed Cabbage Rolls dish is a beloved western-style Japanese dish. Make it for your potluck or dinner party – It’s a perfect meal to share with a crowd on a cold day. Chestnuts are one of fall’s magical treasures in Japan. 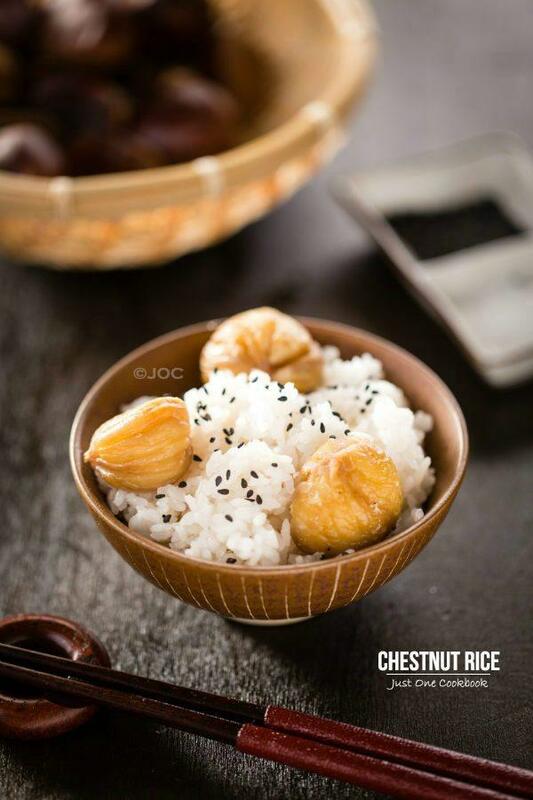 To enjoy these aromatic & buttery nuts, we make Chestnut rice (or Kuri Gohan) and sprinkle it with a pinch of salt and black sesame to enjoy on crisp fall evenings. Imagine coming home and greeted by the fragrance of steamed rice abound with the flavors of autumn? 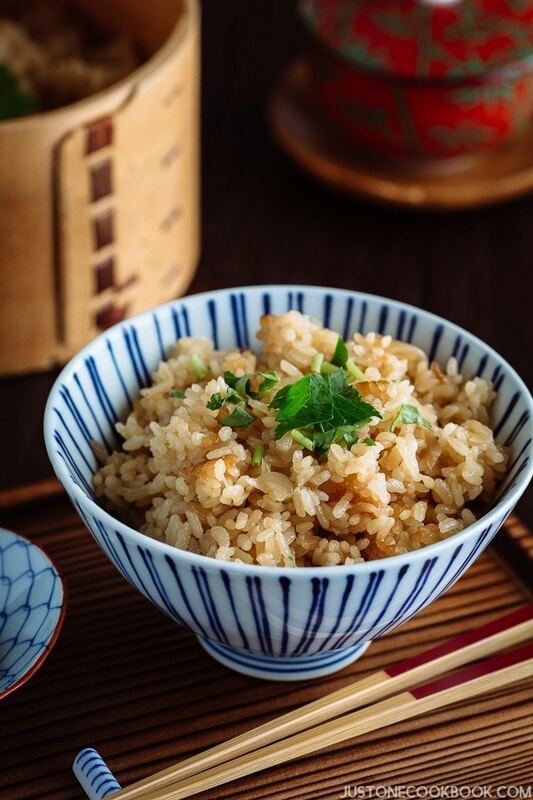 Takikomi Gohan is a wonderful and comforting Japanese mixed rice that makes the best use of seasonal ingredients. In the fall, you can incorporate sweet potatoes, mushrooms, carrots, pacific saury or Sanma 秋刀魚, chestnuts, lotus root and so on. It is also a perfect dish to use up any leftovers. Oysters are in season in Japan during fall and winter. If you spot some fresh oysters at your local market, you want to make this popular Japanese Fried Oysters or Kaki fry (Furai) at home. 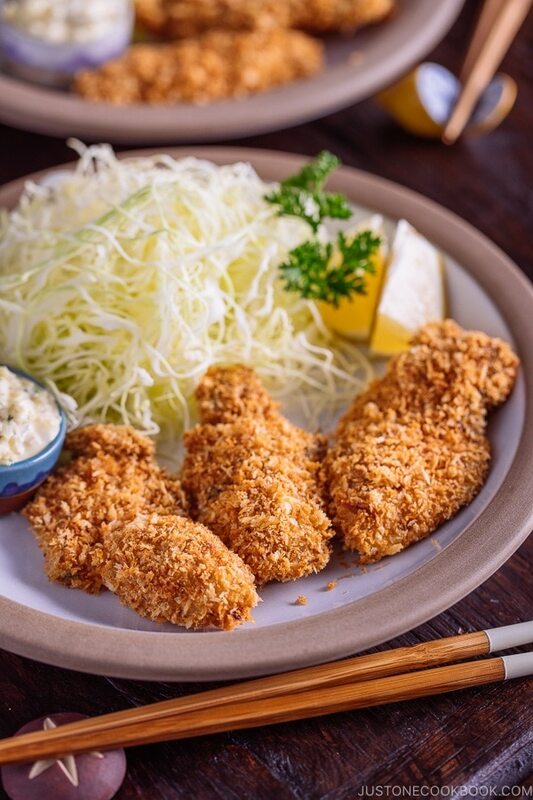 They are coated with crunchy panko and deep-fried until golden brown and served with homemade tartar sauce. What a treat to enjoy by the fire in the cool evening. Pacific Saury or Sanma(秋刀魚) is almost synonymous with the definitive taste of fall in Japan, and literary means “autumn sword fish”. As the fish is grilled whole, it is actually very easy to prepare at home. If you have a charcoal grill set-up, you want to try grilling the fish over the charcoal for an extra smoky flavor. With fall comes the start of hot pot and soup at the dinner table. 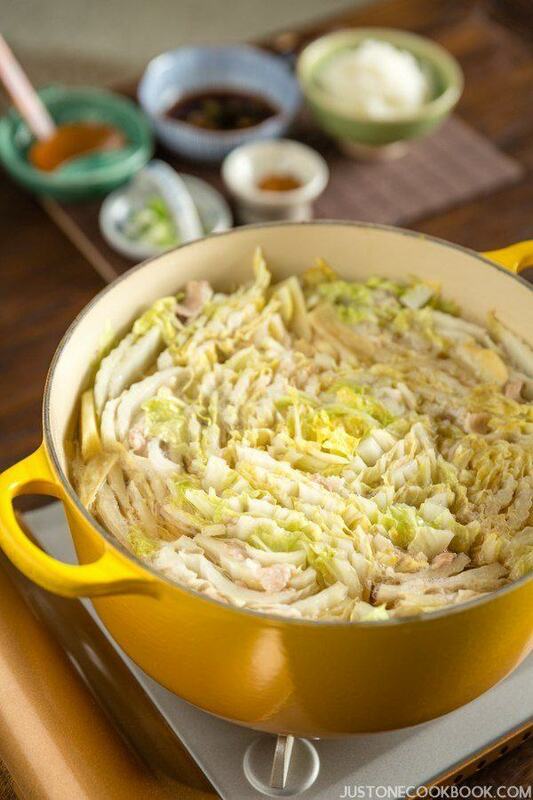 Mille-Feuille Nabe is a simple Japanese hot pot that is made with napa cabbage and pork belly slices cooked in a savory dashi broth. It’s warm and so delicious that you will want to make this on repeat! 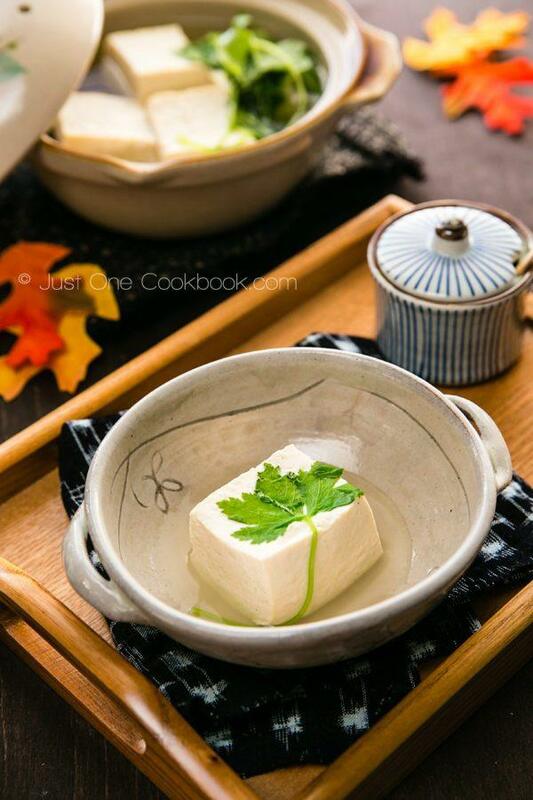 The only ingredients you’d need for this Hot Tofu recipe are dashi kombu and tofu. Light and soothing, you can serve the tofu dish as an appetizer, side dish, or simply a meal on its own. Feel free to add any vegetables for extra nutrition and color! Tempura is not exactly a classic dish to make at home, but this is a too-good-to-miss recipe that you may want to attempt this fall. 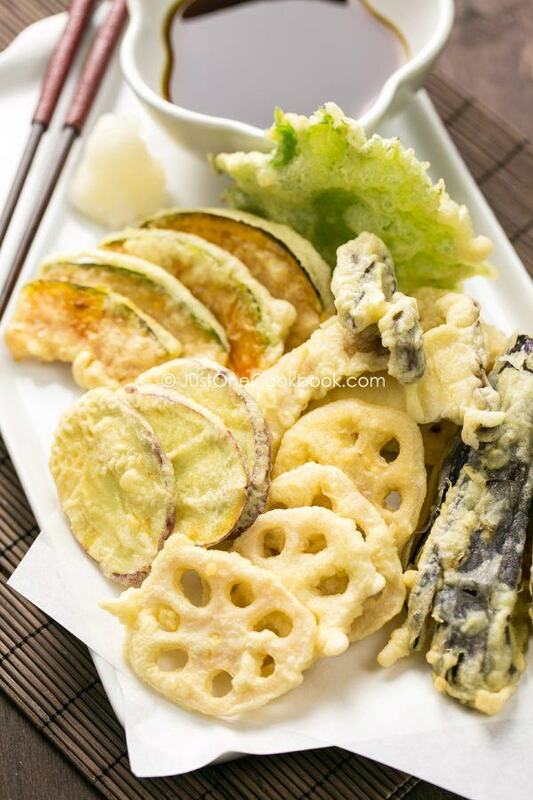 I mean, who can resist delicious crispy homemade vegetable tempura made with kabocha squash, sweet potato, lotus root and so on? 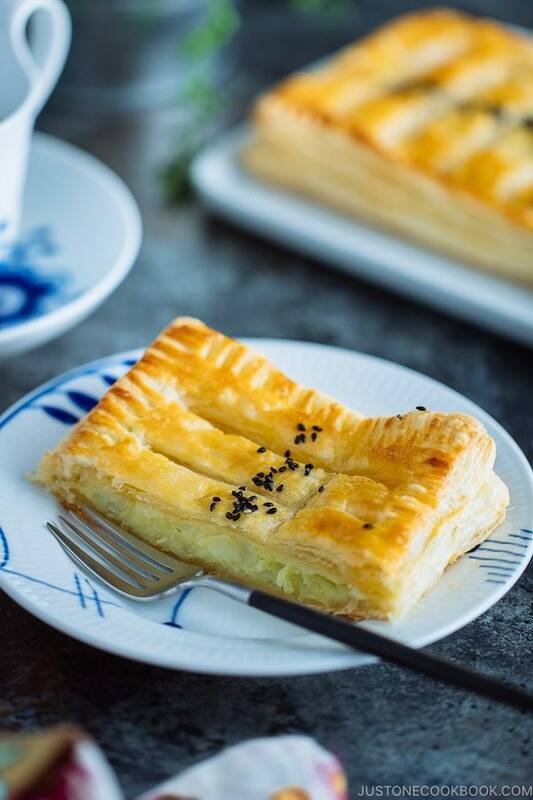 Crispy and flaky, with a smooth, silky filling, Japanese Sweet Potato Pie is an all-time favorite Japanese pastry. Best enjoyed with a cup of coffee or black tea, this sweet potato pie is light, but rich, making it the perfect fall afternoon indulgence. Prized for its unique aroma and flavor, Matsutake mushroom is a delicacy that is highly sought-after during the fall season in Japan. 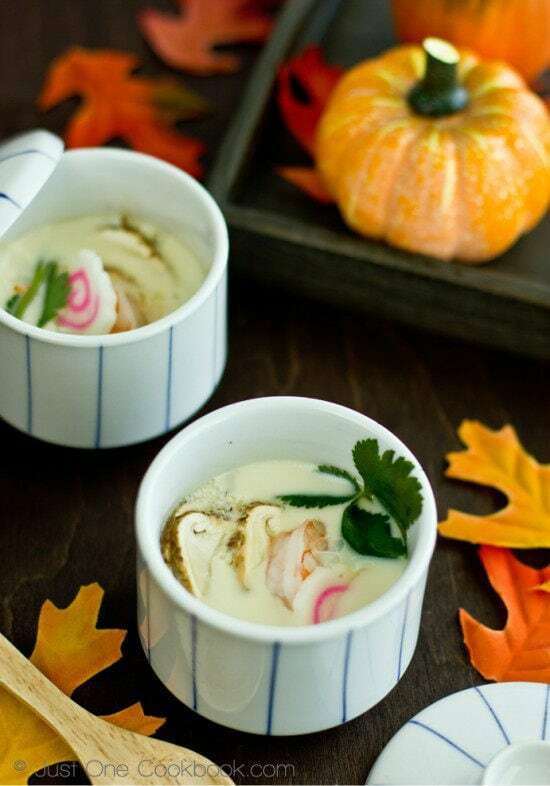 Chawanmushi is a fantastic way to enjoy the special flavor of these mushrooms. The mushrooms are now grown in the US. If you’re lucky, you might be able to find locally grown fresh Matsutake mushroom at your nearby Japanese supermarkets. 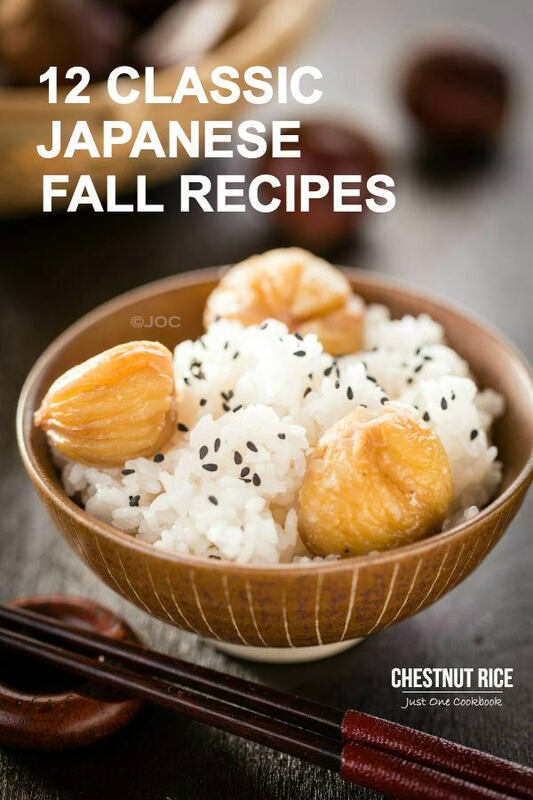 Bring the taste of Japanese autumn to your family table with more fall recipes here!